Product #20780 | SKU CH16F00 | 0.0 (no ratings yet) Thanks for your rating! Easily attaches to the earhook for d:fine headset microphones. 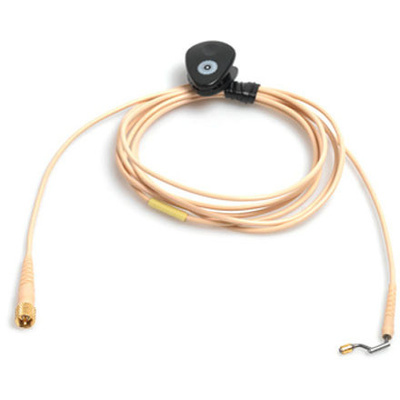 The beige, 4.2' CH16F00 Microphone Cable for Earhook Slide from DPA Microphones comes with a MicroDot connector and easily attaches to the earhook for d:fine headset microphones.